When I first saw Thankful for Cervical Dystonia I took a deep breath but continued reading. I’ve had enough life lessons, thank you very much! Dystonia is a life changing, miserable condition that has impacted our entire family. How could anyone find gratitude with chronic illness? But as I read on I saw that the author was grateful for the life lessons that cervical dystonia had taught her. 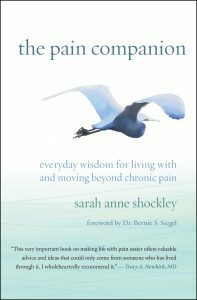 Our worldviews are very different, but I as I read through the list I realized that I have been learning these same lessons myself since my own cervical dystonia diagnosis in 2010. Much like the 12 steps of recovery, some spiritual truths are universal and practical for anyone who seeks them. 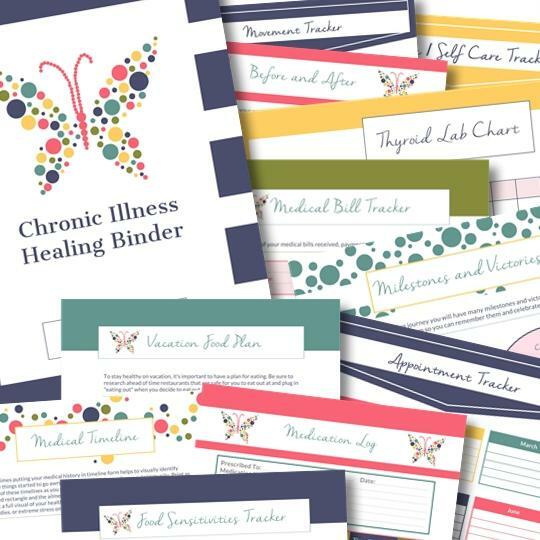 No matter what chronic illness you’re living with, I know that you’ll find these life lessons to be encouraging as well as empowering. And if you haven’t found gratitude in chronic illness, that’s okay too. We’re all on the journey. Keep seeking and reaching out to others and the way will become apparent to you. Read on. Feel less victimized by others or what’s happened in your life. Blaming no longer exists. 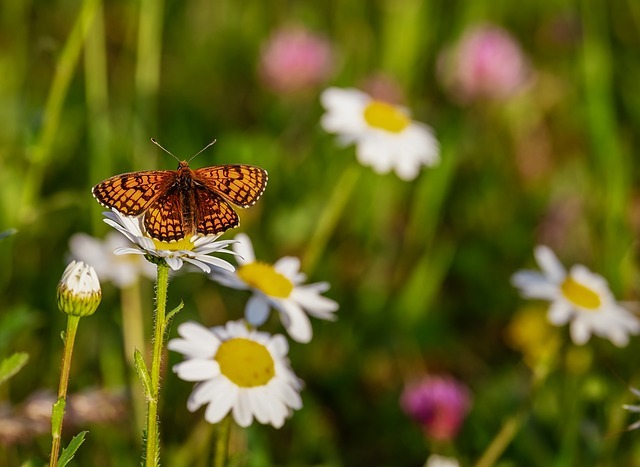 Rather than look at what you may have lost or what you don’t have, you’re able to look at situations in a new light and move forward focusing on what you can do and what you have. Have a more open heart. Gratitude helps you become more compassionate and empathetic. You’ll be able to connect with people even if you don’t think you have much in common with them. It’s a more rewarding way to live. With gratitude you’ll be able to recognize and appreciate what you have rather than what you don’t. As you begin to become aware of what is good and positive in your life, what is good and positive will grow. 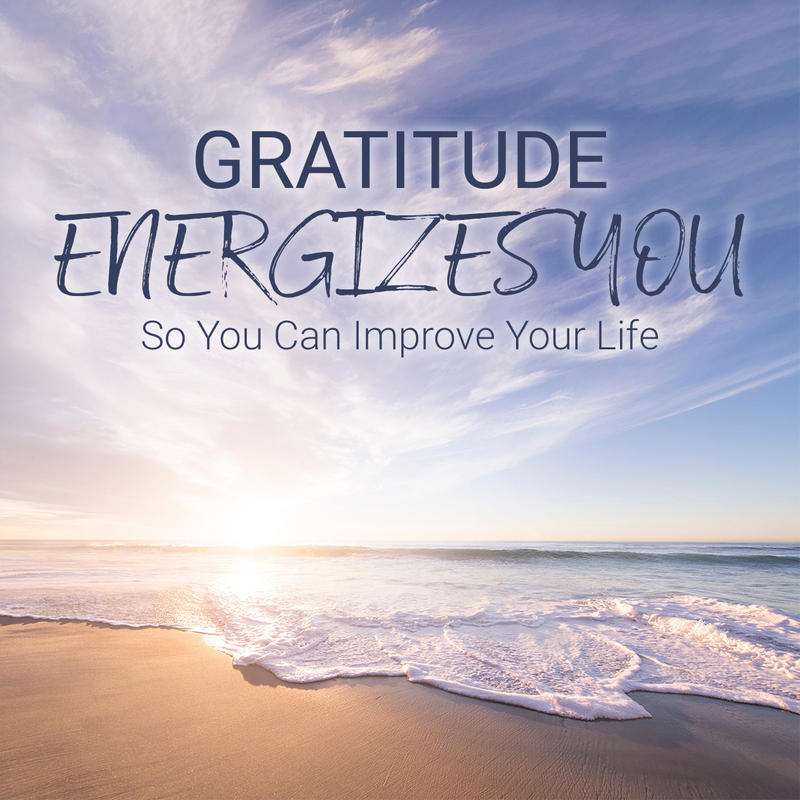 Attract more gratitude and happiness. It’s often found that people attract experiences and people based on what they expect. If you focus on and expect good things to happen, more good may show up. Gratitude journals are often quicker to write in than full out personal journals so provide a quick snapshot into a span of time. If you don’t have time to write out a full narrative, jotting down some quick thanks is perfect. When you are feeling depressed or having trouble finding what’s positive, go back and look over your previous entries and gain a new slant on everything that is right with your life. There’s no wrong way to begin and keep a gratitude journal. You might want to make it a daily habit, or you can keep the journal in a handy place and to write thankful thoughts when the mood strikes. Hobbies that bring you joy. 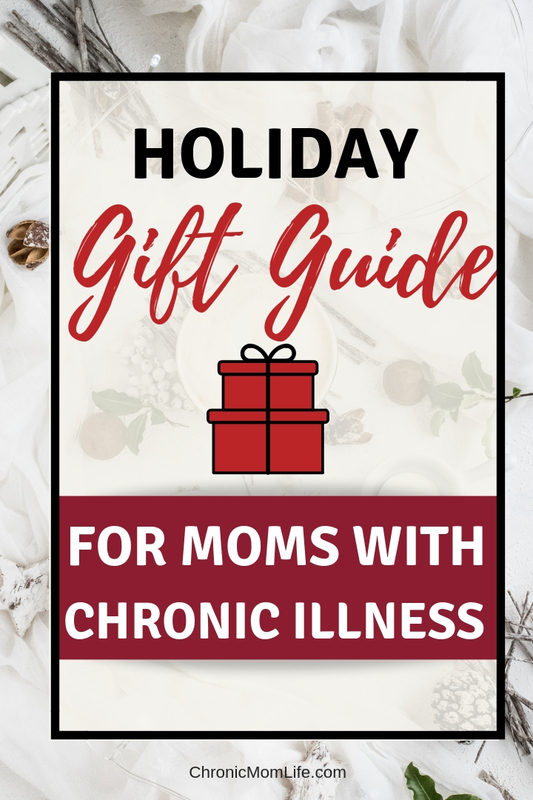 If you’re wondering what you should put on your holiday gift list, my Holiday Gift Guide for Moms with Chronic Illness suggestions are little luxuries that I’ve found over time that help me to cope with being home, struggling with isolation and in pain much of the time. 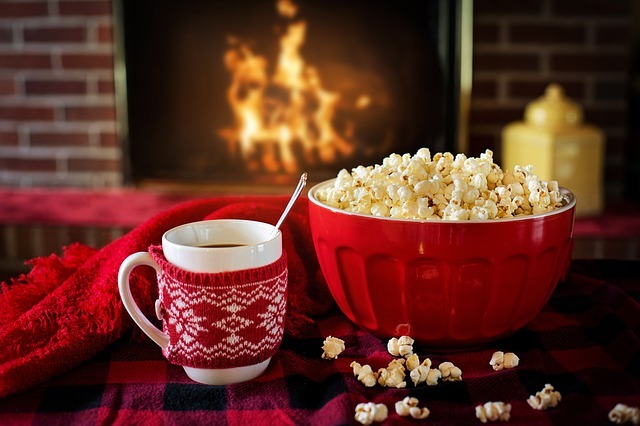 Holidays are never been easy for moms with chronic illness. They’re exhausting to even think about. 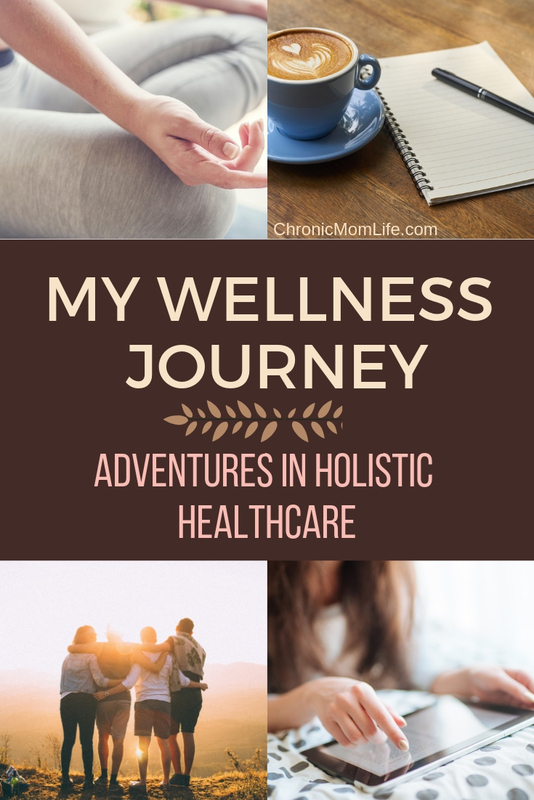 As a mom with chronic illness, I often struggle with comparing myself with other moms who are able to keep up the frenzied pace of parenting, appointments and activities as the holiday season gets under way. Dayspring has cute & inexpensive faith based gift items including jewelry, journals, bibles, coffee mugs, and t-shirts. Beyond Suffering Bible – Being homebound can get depressing, to say the least. The most important thing I can do every day is to check in with God and align my thoughts so that negative thinking doesn’t get out of hand. This Bible is from one of my disability heroes, Joni Earickson Tada and has much to encourage those who struggling with chronic pain and disability. Streams in The Desert devotional – I’ve had this for years and never get tired of it. It’s fantastic encouragement for those who are going through trials and hard times. The Illustrating Bible – Newly released from DaySpring, the Illustrating Bible offers thick pages & ultra wide margins for those who love the craft of Bible journaling. It’s pretty pricey, so I’d only recommend it if you LOVE journaling and creativity indoor bible. Colors of Hope – I get a little overwhelmed with typical adult coloring books but I really enjoy this series of coloring books. It’s cheerful and easy to color in. I’ve also been loving Joy for the Journey. Leuchtturm 1917 Notebooks – the standard in the bullet journaling world for their lovely, thick paper and quality binding. Customize to your heart’s content! Tombow brush letter pens are the ultimate gift for journaling enthusiasts. Struggle with drawing? Stainless steel stencils will add function & beauty to your journal pages without the mess. 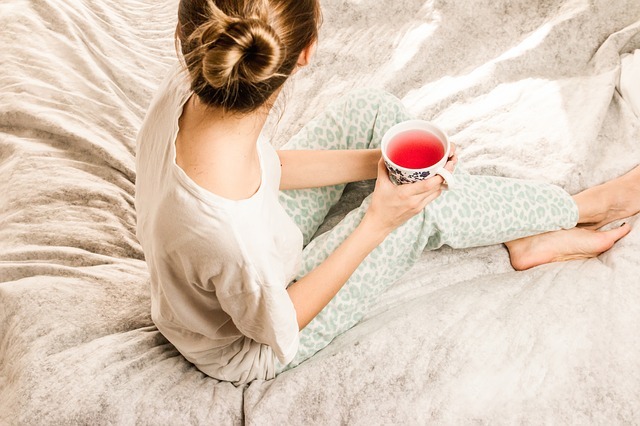 Heating Pad – Even though I’m over 50 and live in a subtropical climate, I’m always freezing because of the air conditioning everywhere and tile floors. I use it for relief of the frequent muscle spasms I live with because of dystonia and the ongoing pelvic pain from ongoing gyn problems. I’m beginning to think about a heated blanket too. Don’t tell my husband! Spa products. Nothing helps to reduce stress for me like spa products. Take a look at these bath bombs and bath salts! Fuzzy socks are a huge go-to comfort item for me (even in summer.) I can’t relax if my feet aren’t covered! Yoga pants – I live in these, no apologies. Ipad – It’s a splurge, I know. But it’s been my sanity saver since my diagnosis in 2010 and couldn’t sit at a computer for a year. I use it for social media, checking email and the Kindle app for reading, shopping, exercising and just about everything! And yes, mine is rose gold…it makes me happy! 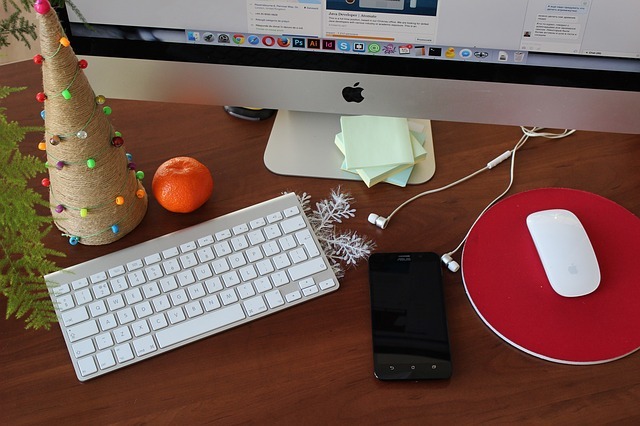 Headphones – I enjoy listening to music and podcasts when I’m too tired to read or watch anything. A nice set is a huge treat! Kindle Paperwhite – I got one this year even though I already had an iPad. I like to use it when I’m sitting around doctor’s offices with spotty wifi and at the beach when the glare is too strong to use a tablet. 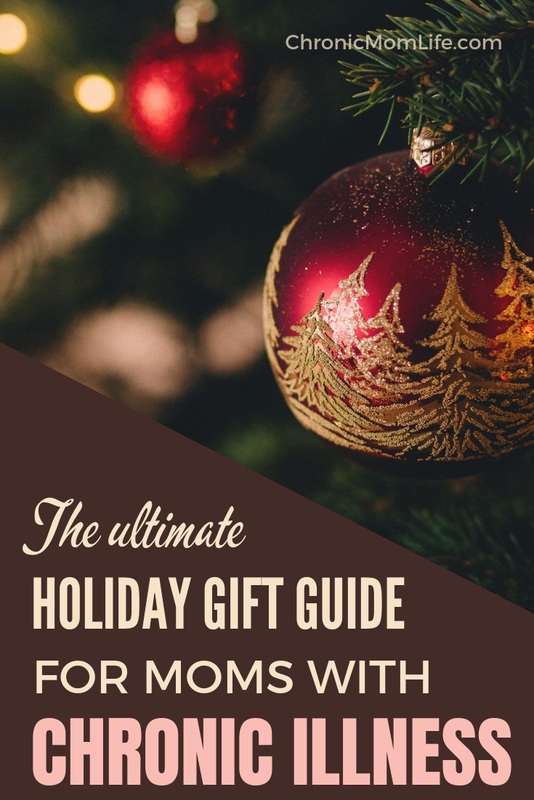 Do you have any great suggestions to add to this gift guide for moms with chronic illness? I’d love to hear them! This blog uses affiliate links. They do not affect the cost of the product for you, but I receive a small commission for recommending them. I only recommend products that I feel comfortable with and believe would benefit my readers. I looked like a boozer. My face had the flushed look of a young woman who spent too much time at the clubs. Taking that first shaky step was the most important thing I ever did for myself. As it turned out, it was the last one I ever had to do alone. Anything that’s positive in my life today is because of that decision I made 32 years ago. 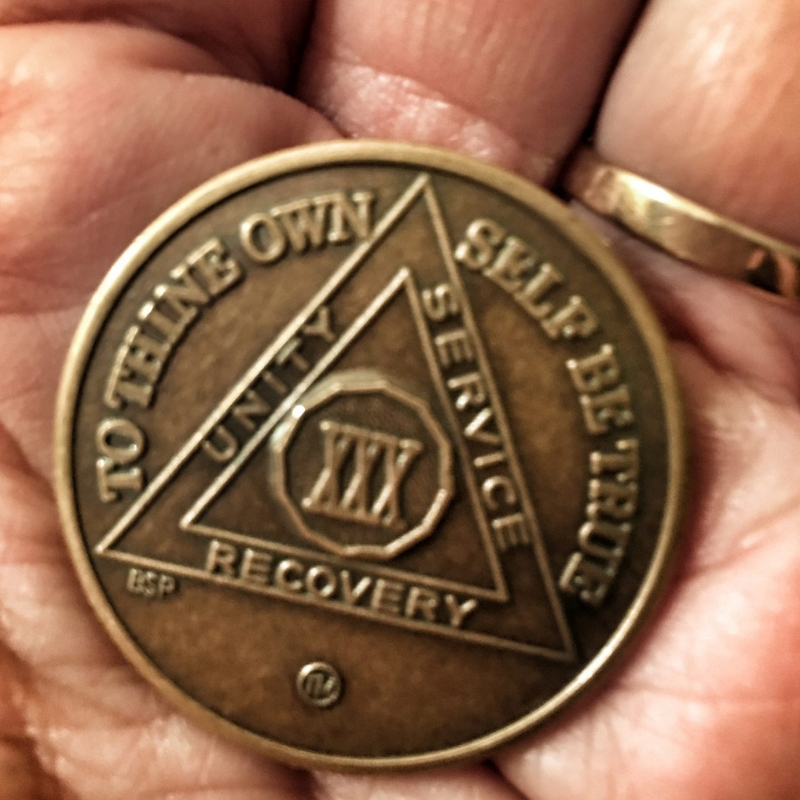 My recovery journey has taken lots of twists and turns. I had a lot of inner crap to wade through. But I’ve learned a whole lot about balancing mind, body and spirit along the way. 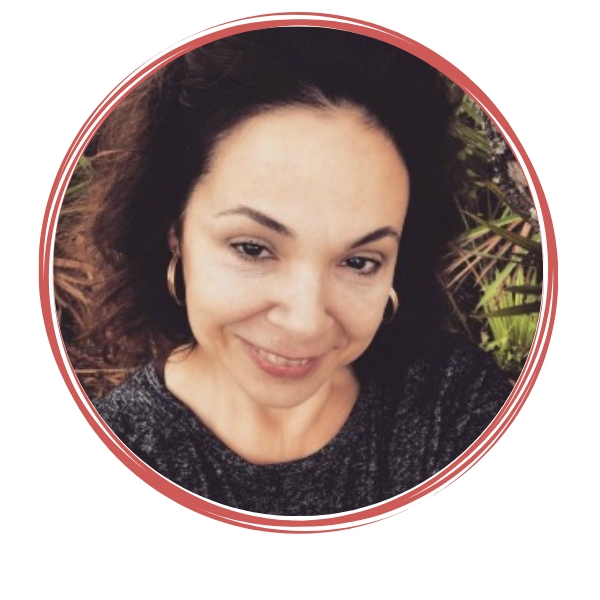 Managing the stresses of special needs parenting while wrestling with my inner demons took a toll on me and years ago I began to suspect I had autoimmune problems. In 2010, I was diagnosed with cervical dystonia, a neurological movement disorder similar to Parkinson’s disease. I was in devastating chronic pain and desperate for help. That’s when I found yoga. 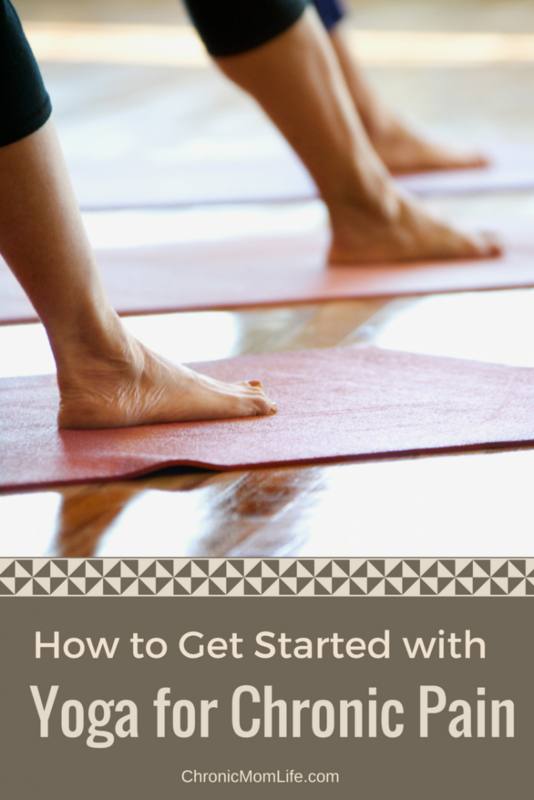 I could only start with basic chair yoga but little by little, I began to inch my way back. Over time I regained my mobility and some normalcy but it was always a thorn in my side. I felt like I was on the sidelines and unable to function like the rest of the moms around me. 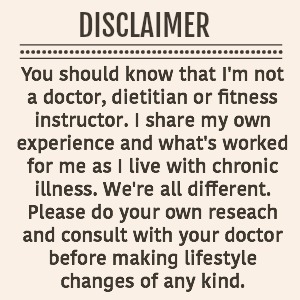 Just because you have one chronic condition doesn’t make you exempt from getting anything else. 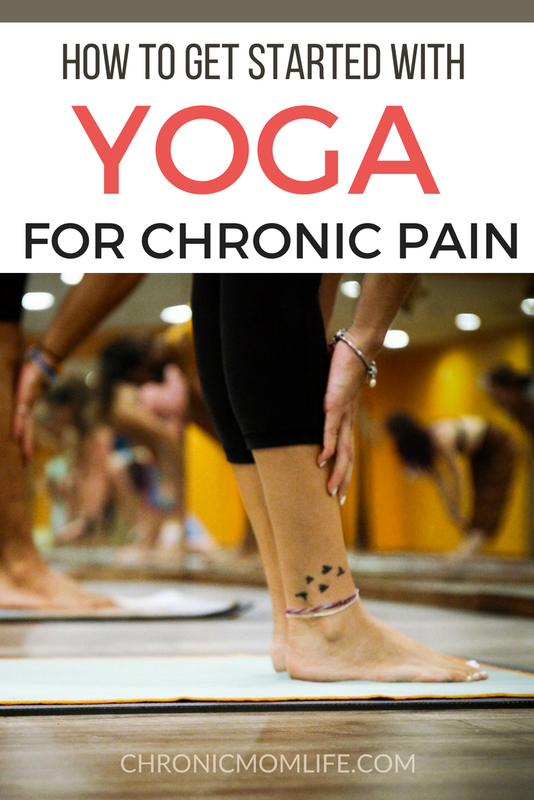 Last December I started noticing some abdominal pain when I was doing yoga. My initial gut reaction (see what I did there!) was that something was very wrong. 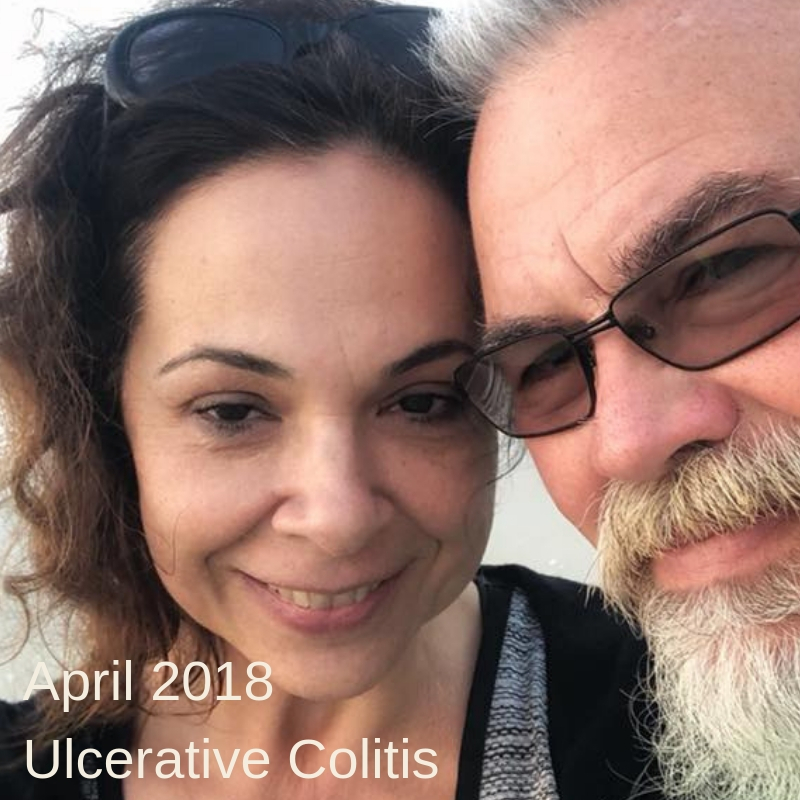 Still, it took me a while to get to the gastro and finally to the fateful colonoscopy that confirmed a diagnosis of ulcerative colitis in April of 2018. This is some scary stuff. I have pancolitis, the form of ulcerative colitis which affects the ENTIRE large intestine. Which explains the pain I was getting under my ribs..and here I was worrying about liver problems. As a special needs mom, I had some familiarity with the GAPS diet and was able to source a few things right away. 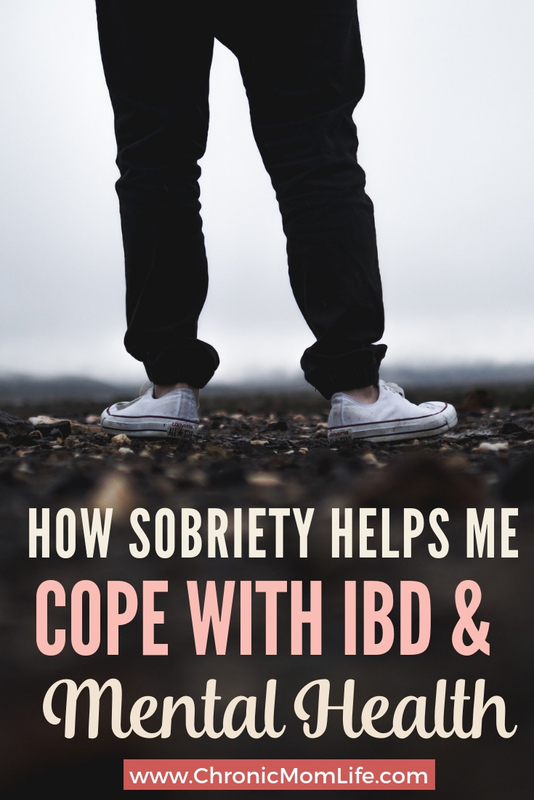 Seeing pictures of fellow Crohn’s & Colitis sufferers in the hospital made me scared to try to do this holistically, so I reluctantly took the two week course of prednisone and then began the course of meds and hoped for the best. Despite my continuing on GAPS, some of my symptoms got a little more distressing. Like incontinence. Sorry, I’m too young for this. Am I scared? Yes. But I know via anecdotal evidence that many Crohn’s & Colitis patients were able to do this holistically and get rid of most, if not all, the meds. Nutrition, stress relief and cannabis can go a long way. I’m not against traditional doctors at all. You need the diagnosis, the tests and at times, the meds, the antibiotics, the traditional treatments and the surgeries. But many times they just send you off with a bunch of expensive prescriptions with frightening side effects with no real answers. I’ve learned to network with others and find out what works for them. I follow what some might consider sketchy alternative health social media pages. In this day and age, you have to become your own advocate. The learning is never going to stop. Moving along..yes, I’m a little scared. But if things begin to escalate I know I can get into my doctor’s office right away. But so far I’m slowly feeling better OFF the meds than I was ON them. And I did check the formulary for what the next meds to be considered are. They cost from hundred to over a thousand dollars. Disclaimer: As always, I like to remind my readers that I’m not a health care professional, just a graduate of the School of Hard Knocks. I’m only sharing my journey. Always consult with a trusted health care professional before making any life changes. This week’s been weird. No sooner do I have a routine that I think I can stick with then life throws a curve ball at me. I woke up with a minor cold on Monday but when you live with ulcerative colitis and dystonia, nothing’s minor. I started bleeding a bit and a quick check in with my UC groups confirmed that this is something I can expect going forward. Luckily it seemed to pass quickly but then the end of the week got messed up by a couple of consecutive nights of bad insomnia, probably menopause induced. So by Friday I couldn’t really think straight and today (Saturday) I realized there was a kids’ party that I forgot to enter into the calendar and I realized it at 10:50–the party started at 11:00 about 25 miles away. The Cuban is not too happy with me right now. And needless to say, my blogging schedule get messed up. Anyway, this month I’m participating with the August Link Up Party for people with chronic illness. 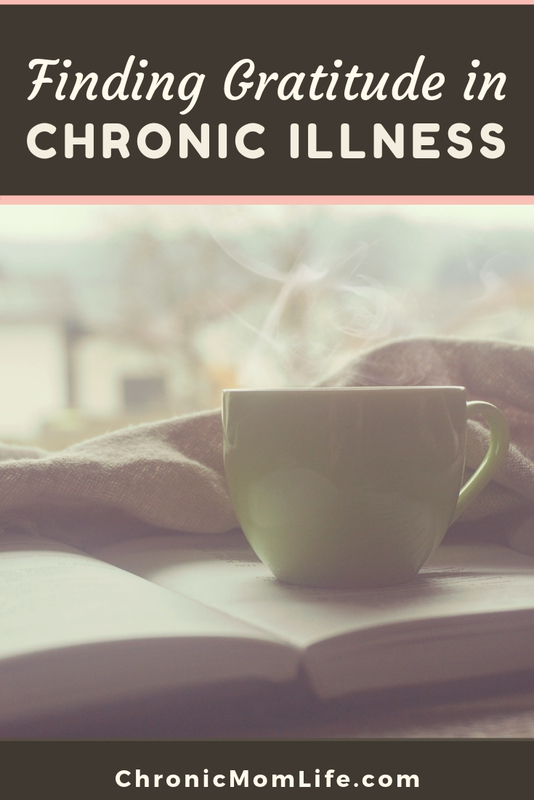 Go check it out and read some of the great posts from other chronic illness bloggers! This is wildly appropriate for this month because that’s pretty much all I do is figure things out. Here’s just a few of them. Getting my son with Down syndrome ready for the new school year and trying to figure out why the hell he’s been so difficult lately. What tattoo I really want to get. BTW, I just figured out that I already used my carb allotment for the day and it’s only 12:00 as I write this. I wouldn’t know. I have yet to complete a household chore. Luckily my family pitches in. Taking my own advice about boosting my mental health with hobbies, I got my lettering stuff together and am trying to spend a few minutes every day working on hand lettering. It’s a perfect way to detach from digital everything and is reminiscent of what I used to enjoy doing before life took over. I sure wish things could be boring. There’s nothing I like more than just being home. But the reality of having two kids with special needs is that Mom and Dad have to be available for Uber duties. It’s exhausting and I really appreciate the days that I can just stay home. I’m notoriously standoffish about hugging ANYONE. But I always have lots of love for my dogs. I like to call them my little antidepressants. 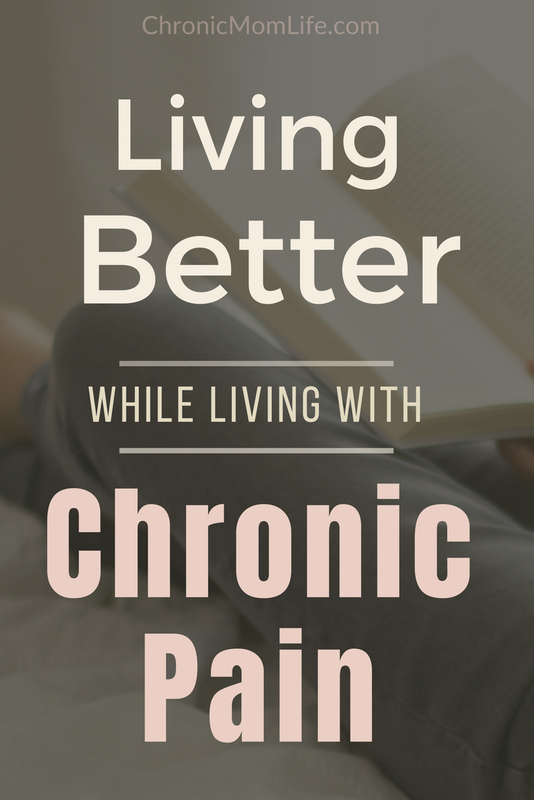 If you live with chronic pain, you’re probably all too familiar with chronic pain flare up days – when the pain that you already live with on a daily basis intensifies and completely levels you. 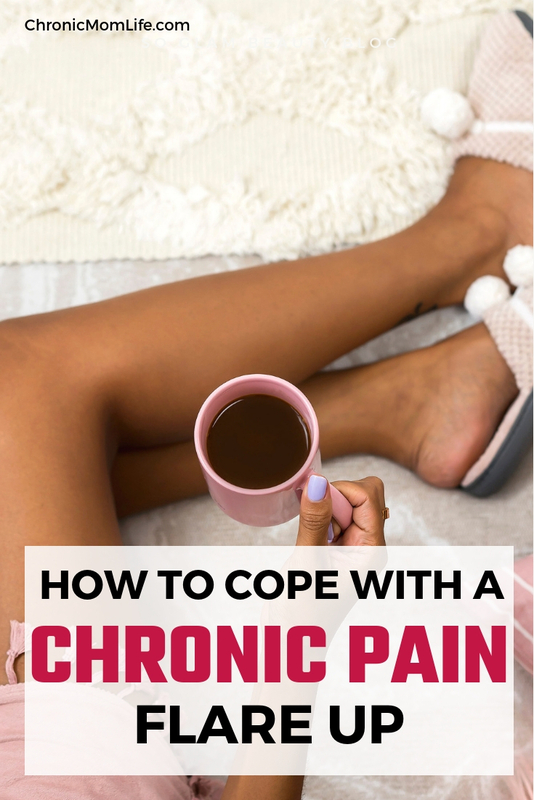 In order to help minimize bad chronic pain flares, it’s helpful to know what triggers your physical symptoms and that can help you to cope with a chronic pain flare up. How Does Weather Affect Pain? When the weather changes to an extreme, whether from atmospheric changes or temperature fluctuations, it can affect certain types of chronic pain. This is especially true when your pain is related to your joints, such as with arthritis or fibromyalgia. If you start to keep a pain journal and record everything that occurred on the days when you had a flare-up, you might notice that your neck or knees hurt a lot worse when it rains or gets extremely cold. For others, extreme heat can trigger symptoms. Journaling can help you see what weather changes might be triggering you and help you to prepare for them in the future. Everyone experiences stress. Some women are living with chronic illness, multiple caregiving responsibilities, work demands and more. It’s overwhelming for sure but we’ve got to learn how to manage it. No matter what chronic illness you’re living with, stress will probably impact your pain levels and cause flare-ups. But be assured that while we can’t eliminate stress completely, effective stress relief methods can help to reduce chronic pain. For women, a big flare trigger for chronic pain might be as a result of fluctuating hormonal levels throughout the month. 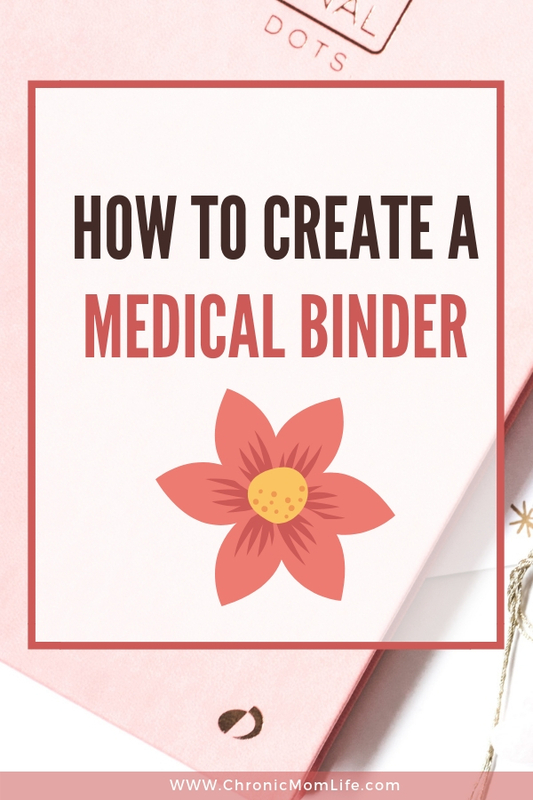 This might be related to PMS, where your pain is worse when you are about to start your period, or you might be experiencing more pain as you head toward menopause. This is yet another reason to keep a pain journal, since it helps you to notice these patterns. The more you know, the more prepared you’ll be for these potential triggers. Eating inflammatory foods such as refined carbs, and sugar can increase symptoms for many people. Others might need to eliminate dairy and gluten. They key is to know yourself and track your symptoms. Again, a journal is going to be helpful here to track your symptoms. Despite your best intentions, chronic pain flare ups can happen at any time. If you’re having a bad day, week or month…just step back and regroup. Think about what absolutely has to get done and let the rest go for now. 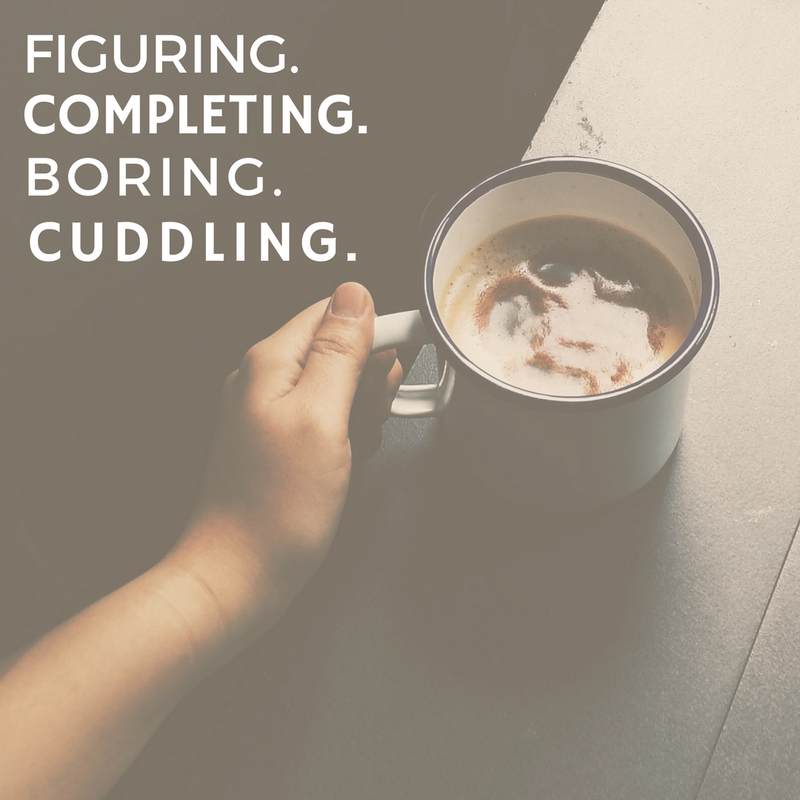 If you need to spend a few days in bed, that’s perfectly fine. 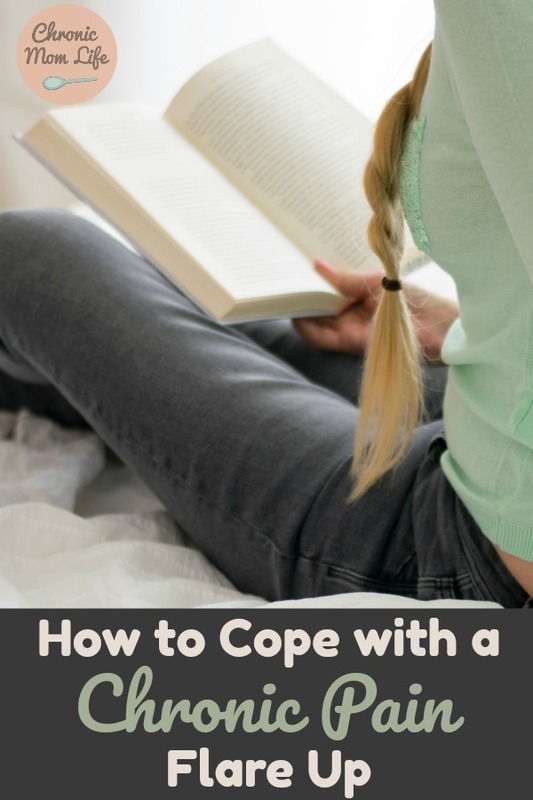 There are things you can do every day that help you cope with your chronic pain. Some things you might already be doing, while others are good to start getting into the normal practice of. It is important that you keep trying to make changes in your life for proper chronic pain management and mental health. Stress has such a large impact on nearly every facet of your life, including your chronic pain. No matter where your pain comes from, stress is likely to trigger chronic pain flare ups and make everything worse. The best thing you can do is figure out what is causing your stress and work to reduce it. 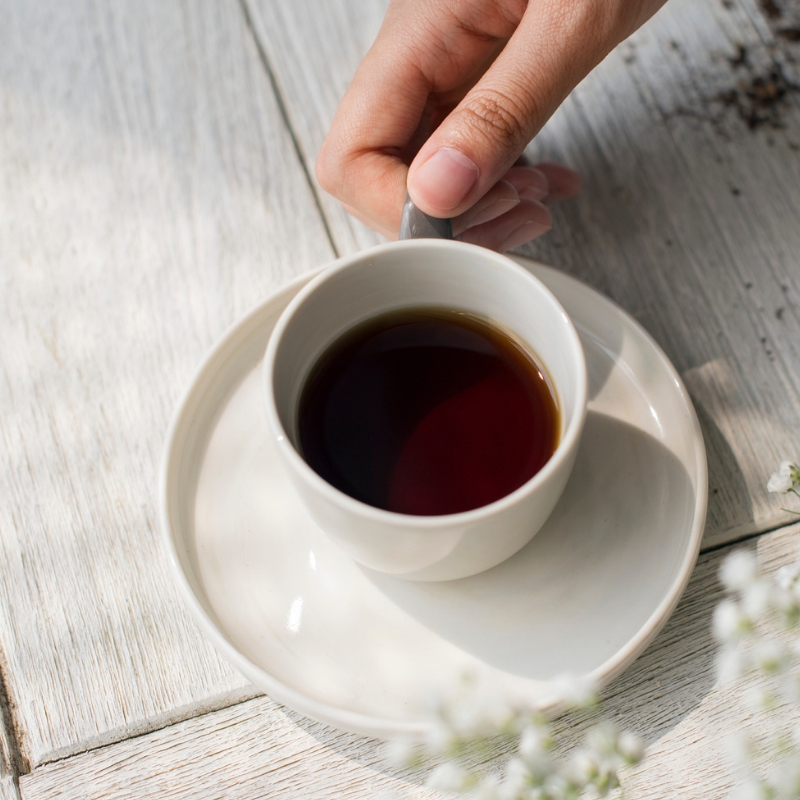 Limiting time with toxic people, not taking on extra tasks at work, reducing unnecessary spending and just living a more organized life are a few ways to begin to reduce stress. Drinking alcohol may temporarily reduce your pain, but it is only hurting you in the long run. Not only is there a risk of addiction, but alcohol can get in the way of your sleep. Sleeping is extremely important when you are trying to cope with chronic pain, so you don’twant to get into the habit of putting a Band-aid on the pain with alcohol every day. Plus, alcohol is a depressant, so it can make your mood highs and lows a lot worse. And don’t forget how miserable a hangover can be! Finally, mixing alcohol with other meds is extremely dangerous and can lead to catastrophic consequences. Chronic pain is serious business. It’s easy to become overwhelmed by it and let it ruin your life. Unfortunately, even those who love you might not understand what it’s like. Finding a chronic pain support group might be one of the best things that you can do for yourself, whether online or local. 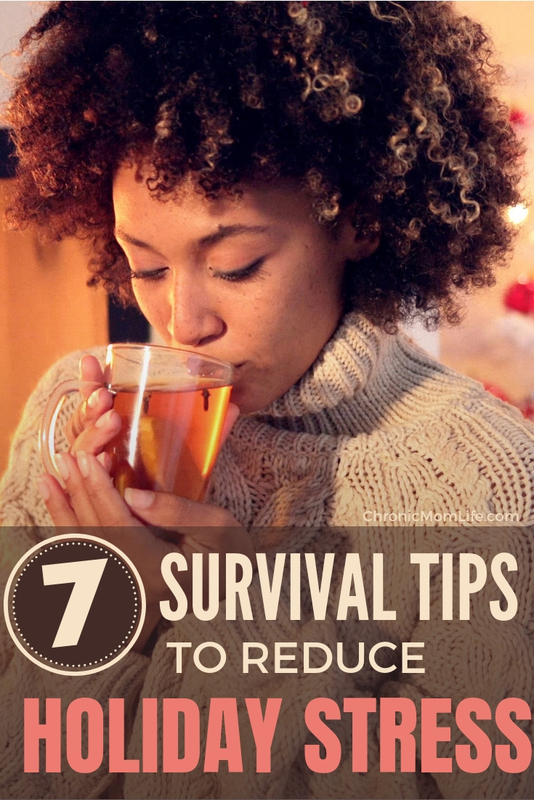 You’ll feel less alone and much more empowered.